Lock in a great price for Hotel Tesselhof – rated 8.5 by recent guests! 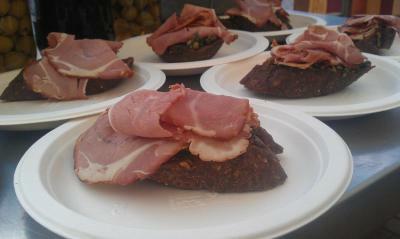 The breakfast was nice, many choices and good quality. Large room as well. Great location in the town and near the beach. Very well located, near sea & bars/restaurants. Staff is very friendly. The hotel is at the center and close to the beach. Excellent breakfast. Hotel was clean and had nice decorations. 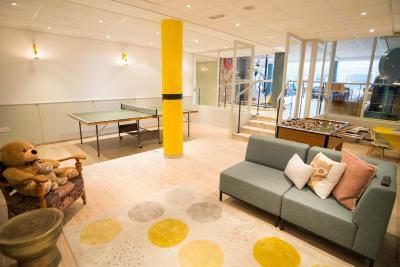 We liked the playing room with football and ping-pong tables. Good parking place. Staff amazing and very accommodating. Huge room and exceptionally clean. Great location. Hotel Tesselhof This rating is a reflection of how the property compares to the industry standard when it comes to price, facilities and services available. It's based on a self-evaluation by the property. Use this rating to help choose your stay! 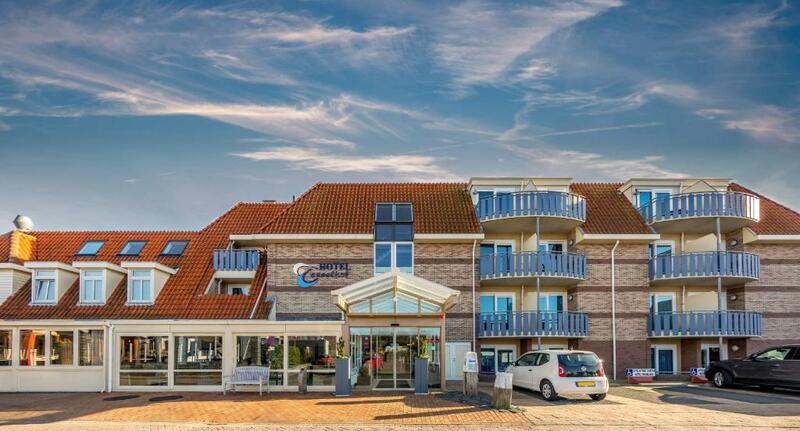 One of our top picks in De Koog.This hotel is in the center of De Koog on Texel, less than half a mile from the dunes and beach. Tesselhof features a terrace, game room and an elegant sun room. Hotel Tesselhof has accommodations with cable TV and a work desk. 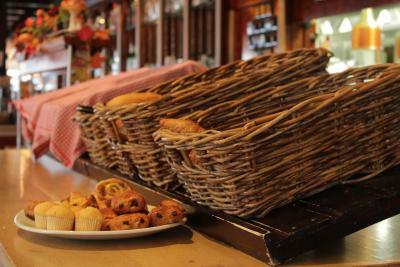 Guests can enjoy a daily buffet breakfast featuring fresh bread, croissants and granola with yogurt and fresh fruit. 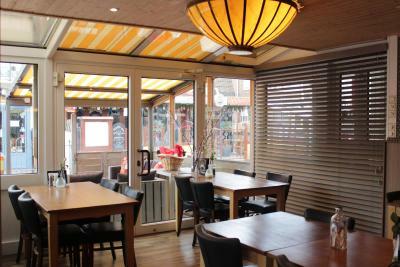 La Casserole restaurant serves Burgundian cuisine in a cozy setting with original features including a beamed ceiling. 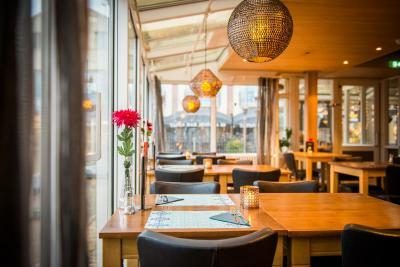 The menu offers dishes with ingredients from Texel including lamb, buckthorn and locally produced cheese. 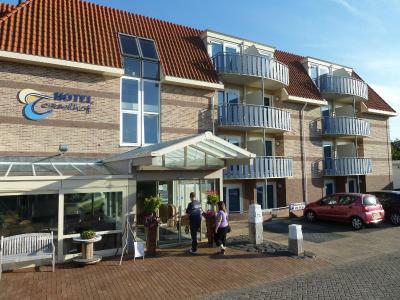 The hotel also offers bike rental and a packed lunch service. 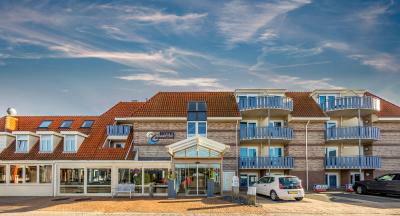 Tesselhof Hotel is a 5-minute drive from Ecomare and Golfcourse De Texelse is a 15-minute car ride away. When would you like to stay at Hotel Tesselhof? Spacious room with a sauna. This large room has a steam shower. Spacious, bright rooms with private bathrooms. Spacious family suites with a separate toilet, 2 bedrooms, a balcony and a flats-screen TV. This newly renovated Deluxe Double Room has a dining area and a bathroom with a walk in shower. The unit has a light spacious interior is equipped with a fridge, and coffee and tea making facilities. Please note that dogs are not permitted in this apartment. Please note that no extra beds are allowed in this room. House Rules Hotel Tesselhof takes special requests – add in the next step! All children under 2 years are charged EUR 12.75 per person per night in a crib. All children under 2 years are charged EUR 10.75 per person per night when using existing beds. All children from 3 to 12 year are charged EUR 29.75 per night for extra beds. One older child or adult is charged EUR 49.75 per night in an extra bed. ATM card Hotel Tesselhof accepts these cards and reserves the right to temporarily hold an amount prior to arrival. Hotel Tesselhof accepts these cards and reserves the right to temporarily hold an amount prior to arrival. 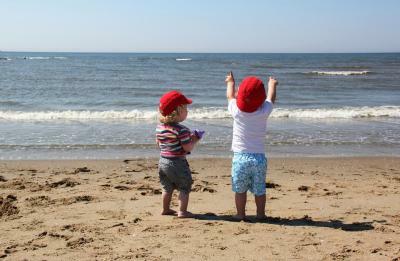 Please note that the hotel charges EUR 12.75 per night for babies up to 2 years. These costs are also applicable when guests bring their own baby beds. Please note that pets are not allowed in the Deluxe Double Room with Shower and in the Family Room. In the other rooms, pets are only allowed on request. The church nearby rings every hour (also at night) and we missed a hair dryer. Glutenfree options without any hassle. 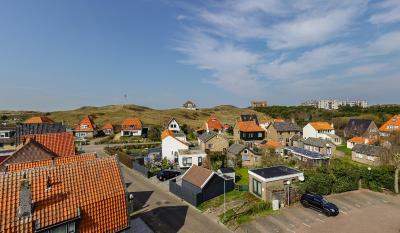 Great Location in Central of De Koog. Nothing. we loved everything about this hotel. I spent one night in this hotel and it was really disappointing. I found hairs in my sheets. I asked to change them and the cleaning lady came in without knocking while I was in the sauna with my boyfriend. It was really rude and uncomfortable to us. After she left I checked the new sheets and there were still hairs in there, although a bit less. I think they don’t wash them well at all!!! Moreover there wasn’t a hairdryer in the bathroom and neither big towels to dry after shower. We payed 147€ for one night, really too much for what we found there. I advise you not to book this hotel!! The only good thing was the kindeness if the staff. The staff was really kind. The room was very stuffy -- no airflow. Towels really small. nothing special. Breakfast is okay, but it could be better. There was nothing to dislike but be warned about chiming church bells on the hour through the night.